Recently I received feedback from some customers stating they could not find my application on Google Play when searching from their Android tablets. The app, however, could be found on Google Play if searched from an Android phone. Interestingly, the APK that was used to upload the same application to Google Play could install and run on the customers’ tablets without issues. This is in spite of the fact that I have already uploaded tablet screenshots taken from another tablet for the app entry on Google Play. However, it turned out that simply uploading tablet screenshots is not enough as Google has a set of guidelines, available here, that developers should follow to make their application tablet-ready. A search on Google for these errors returned no conclusive results. Some replies suspected that Google Play analyzes the APK looking for design elements specific to tablets (e.g. looking for layout folder with names layout-sw600dp, layout-sw600dp-land, layout-sw720dp, layout-sw720dp-lan, etc. or looking for an XML layout with large screen width) while others say that Google Play is simply analyzing the screenshots I uploaded to see if it looked like a tablet app, not a phone app running on tablet with huge unused white space lying around. Surprisingly, Google Play accepted this screenshot as tablet-compliant and finally decided to make my app available on tablets! So I guess the conclusion is that Google simply analyzes the tablet screenshots and looks for white space, most likely from the bottom and perhaps from the right and complains that the app is not tablet-compliant if there is too much white space. 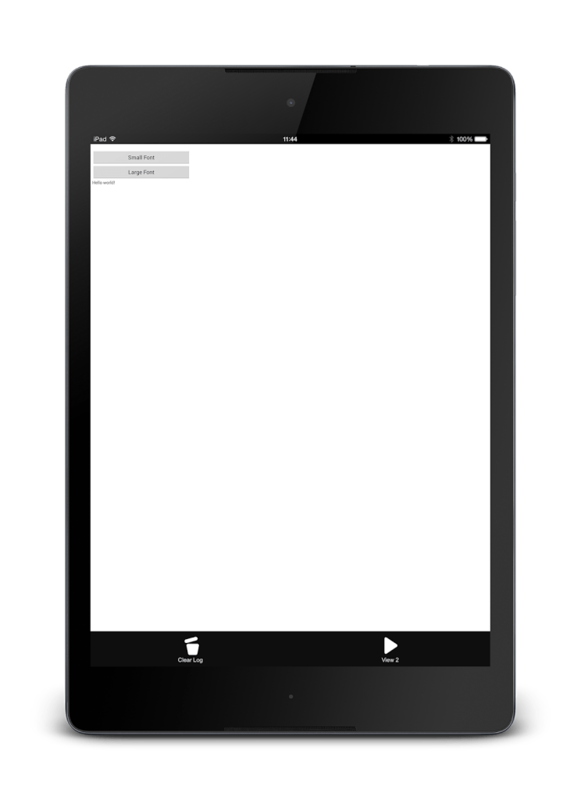 This assumes that a properly designed tablet app should make full use of the screen space and expand all the way to the bottom of the screen. By using the Device Art Generator, we have satisfied this criteria by adding the device skin around the screenshot and make Google think that screen space is fully utilized! While I do not support anyone using this trick on production apps, the Device Art Generator tool is good as a quick fix for developers to make their existing phone-only apps on Google Play available on tablets without the hassle of re-designing the existing app layout files.